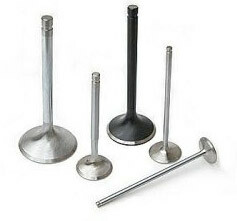 Selling new, used, refurbished, gas flowed, big valve & race cylinder heads. 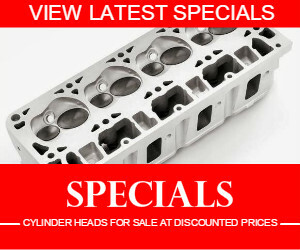 Click here to read more about our new cylinder heads for sale! We literally have hundreds of used cylinder heads – refurbished to like new – petrol and diesel cylinder heads for sale in stock.If we sell a cylinder head it carries our standard why worry warranty and will be ready to bolt on to an engine.Our used cylinder heads are refurbished in-house by a team of cylinder head specialists who collectively have around 50 years of cylinder head experience.We sell only the best and we are a one stop cylinder head shop. If required we can also refurbish your own cylinder head. It will be evaluated and a recommendation to repair or replace will be made prior to any money being spent. In the early years, modified or gas-flowed big valve cylinder heads were only ever found on racing cars. Today this situation has changed dramatically, custom cylinder heads have become very popular, not only in street cars but also in the highly competitive motorsport arena. And here once again the SAC Engineering specialists can provide you with the full platform of specialised services to not only make your street car or bakkie better but also give you the competitive edge to be number one. 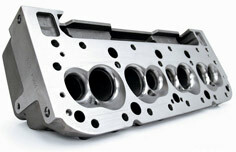 Our cylinder head experts will turn your standard cylinder head into a fully bred racing head. We make them from mild to wild depending on your requirements. We will never compromise reliability.